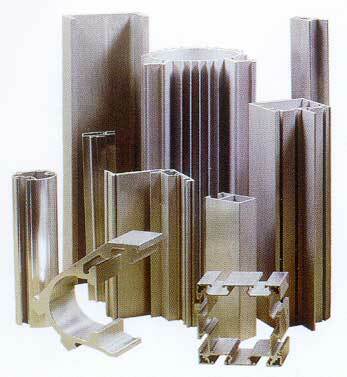 Hindalco is a leading player in the extrusions industry in India. With a wide range of alloys, including hard alloys and special alloys for the defence and space sectors, our extrusions are manufactured from high-quality billets made from virgin in-house metal. We have two extrusion plants in India: in Renukoot, Uttar Pradesh, and Alupuram, Kerala, capable of producing around 60,000 tpa products of various specifications and dimensions. Both plants have well-established manufacturing processes and QA systems honed over five decades of experience.Hindalco Extrusions is a leading brand for a wide spectrum of industries, including architectural, electrical, industrial, transport, defence and consumer durables industries. We export extrusions to countries like the US, Canada, Germany, the UK, France, the Netherlands, South Africa, UAE, Singapore, Malaysia, Sri Lanka and Bangladesh. 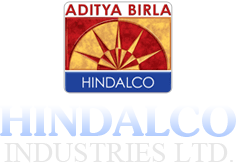 Branding : All our supplies to the trade market in the country are branded with the Hindalco mark. Automated packing : Bundles leaving our premises are packed according to the stated needs of the customers. The normal mode of packing provides an airtight and moisture-proof bundle with proper identification labels. The tightly wound bundles arrests movement within the pack and acts as unitising media which avoids rubbing of profiles against each other. Each bundle is weighed accurately on an in-line digital weighing scale.